Honda Cars Philippines, Inc. proudly announces a record breaking sales performance in 2016 with a total of 23,199 vehicle sales or 20 percent growth, compared to the same period in 2015 with 19,315 vehicles sold. The December 2016 sales also set a highest monthly record of 2,805 units. The reported sales increase is attributed to the brand’s main contributors, particularly the introduction of the All-New BR-V, the All-New Civic and the New City. 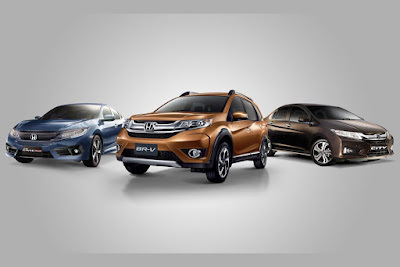 The All-New BR-V is Honda’s latest addition to its affordable Sport Utility Vehicle (SUV) lineup. Since its Philippine debut last September 2016, it garnered more than 2,000 reservations and sold 717 vehicles upon its availability in December 2016. The All-New Civic on the other hand, marks 2,500 vehicle sales. The New City remains as the best-selling model among HCPI’s 15 vehicle line-up with a remarkable 8,913 units sold.